My 7 year old son, Cooper, is wearing the costume. We watched the movie one night, and he decided he HAD to be Edward for Halloween. My husband & I went to work, and started gathering all the materials: a couple of yards of pleather, tons of old leather/pleather belts, odd assortment of grommets, studs, and metal rings, a pile of tools, and this is what we came up with! This. Is. Awesome. Great job. 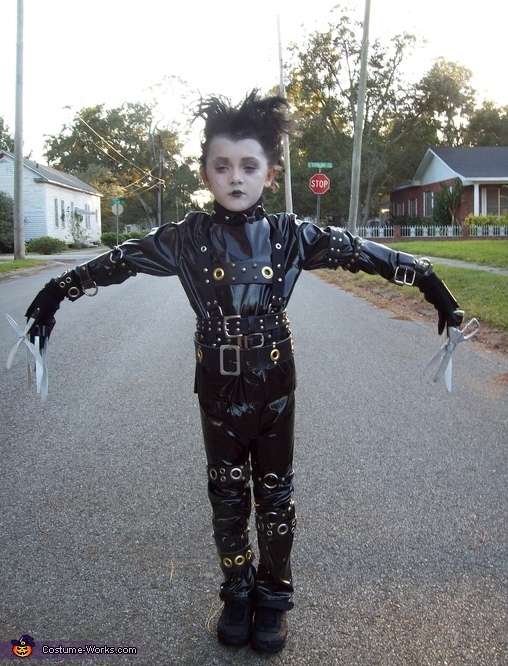 Does anyone know anyone to make this for my son for Halloween this year! I'm in desperate need to get this costume for him. any info will be appreciated. Thanks.